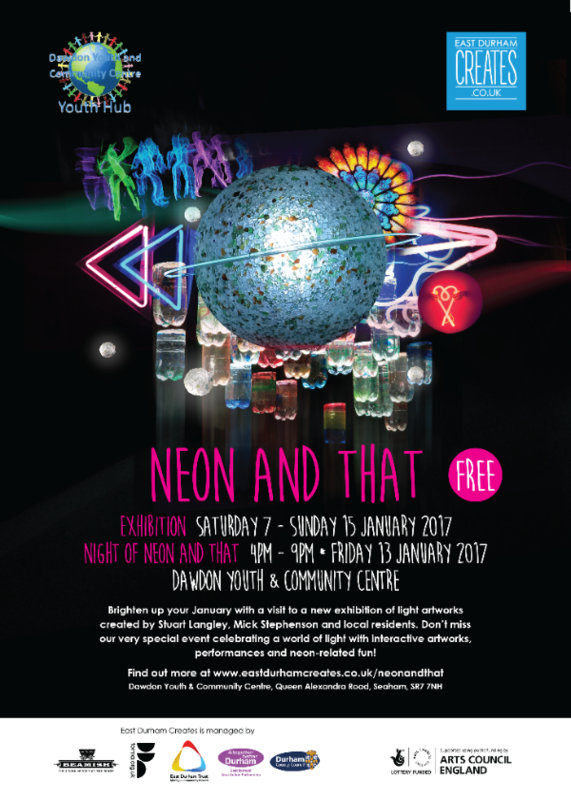 We were asked to perform at the neon and that exhibition Jan 13th 2017 . 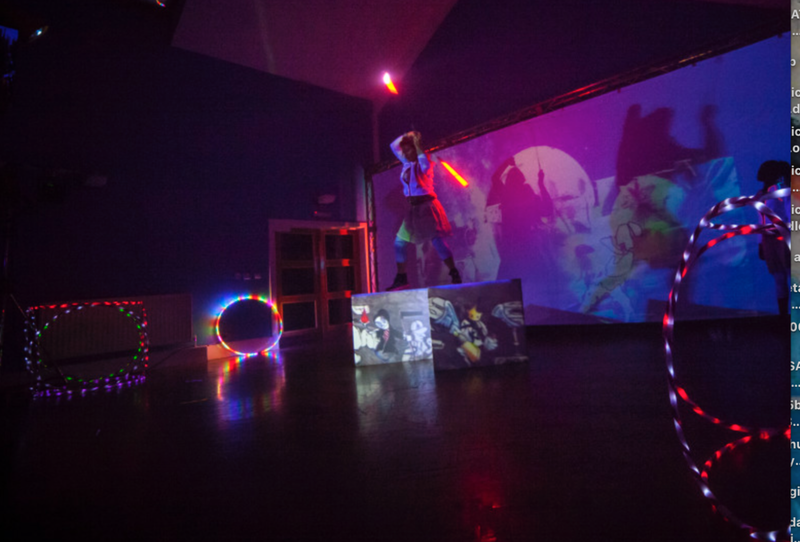 This was a exhibition of work from light artists Mick Stephenson and Stuart Langley as well as displays from community lead in work. The show took place at Dawdon Community centre. .The show had developed to include background projections and the hyperion hoop. We also started to work with UV cannons that highlighted costume and make up. We were wearing our new tops constructed by Jez Hunt. Dancers Lerato Mcube, Penella Bee. Technicians- Simon Spencer Harvey and Frank Styles.